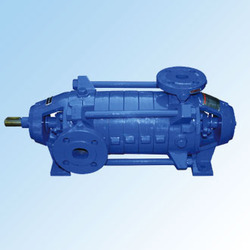 Leading Manufacturer of centrifugal multi stage pumps from Ahmedabad. Leading manufacturer & supplier of Centrifugal Multistage Pumps. The rotating parts of these pumps are made using high quality stainless steel as per industry norms and standards. We can designed Multi Stage Vertical Pumps as per the client's requirement. FPE-M are used fof general water supply, sprinkling, irrigation and booster plants, for the circulation of warm water, hot water and cooling water, delivery of condensate and boiler feed water, and as fire-fighting pumps. Looking for Centrifugal Multi Stage Pumps ?